Ford Racing gaskets and gasket sets give your high performance Ford the fit and finish of OEM with upgraded engineering and materials to handle your high horsepower high performance Ford engine. 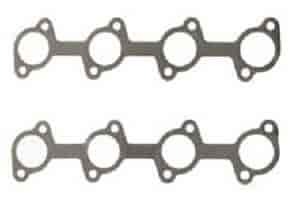 Ford offers their gaskets individually, in complete engine rebuild kits or in a project or task specific kit like the engine swap kits that include all the gaskets and replacement bolts you will need to swap out cylinder heads just as an example. Ford lets you get it right the first time without having to spend money on custom or one off gaskets to get the job done. Does Ford Performance M-9448-A462 fit your vehicle?